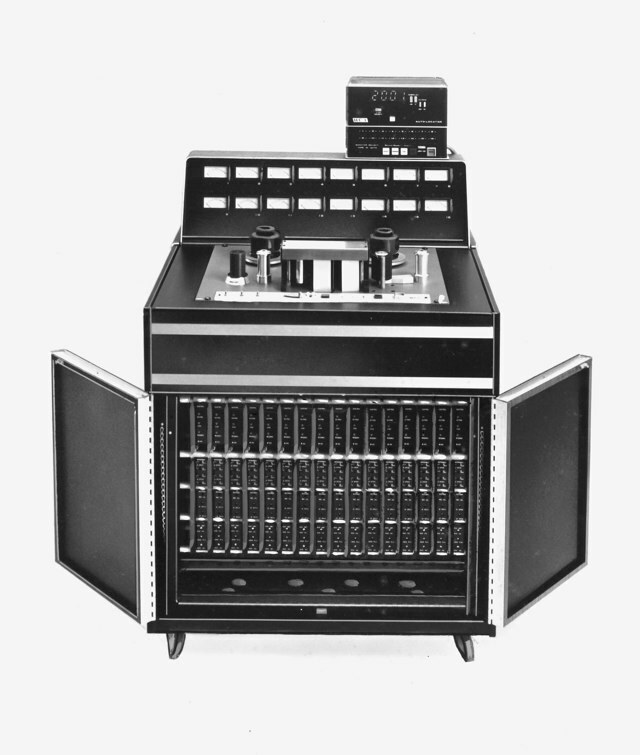 Modern engineering design principles combined with MCl's years of experience in the professional recording industry combine to make the MCI JH-16 a unique Multi-track, professional recording system. Fool-proof control logic system, fully remotable function switching, and an optional automatic rewinder save time and allow the engineer to concentrate on program material. Simplicity of design and accessibility of component systems reduce the possibility of failures and increase serviceability. 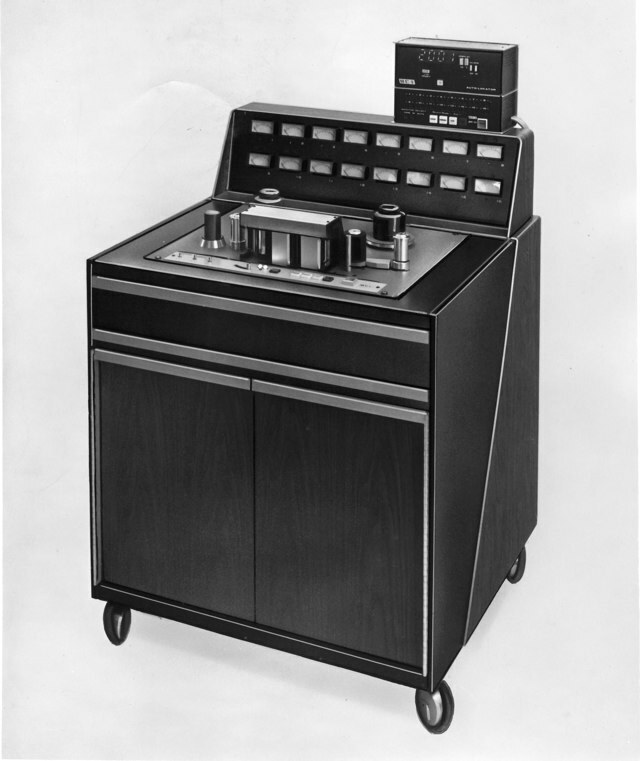 The JH-16 is housed in a decorative, steel cabinet with aluminum and walnut vinyl trim. The automatic rewinder and remote function controls are housed in a brushed, anodized aluminum case with a cradle for table top mounting. The operating controls of the JH-16 are designed to give the operator maximum flexibility and ease of operation. The fully interlocked control logic of the JH-10 transport allows selection of any command at any time without fear of tape spillage. The photocell activated head shield, threading idle, and clear tape path facilitate easy tape threading. Servo driven reels provide constant tension in the play mode. The JH-16 is supplied with a remote control as standard equipment. The remote provides full remote control of all deck and electronics functions. 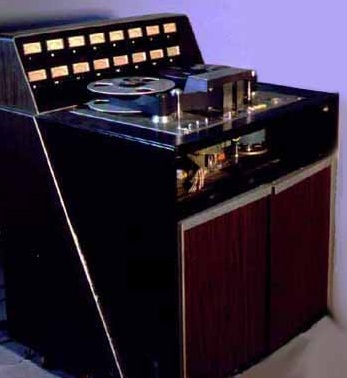 Duplicate deck functions include: Fast forward, Rewind, Stop, Play and Record. Master function pushbuttons select reproduce, input, auto-cue and auto-cue/input modes of operation. Channel switches allow individual tracks to operate in input or auto-cue modes. The optional Automatic locator, housed in the remote, maintains tape log, automatically rewinds tape and provides a running time clock. All adjustments vital to daily maintenance are accessible through the doors in the front of the JH-16 console. The adjustments are conveniently grouped vertically by channel as integral parts of the modules in the card rack. Serviceability was an important factor in factor in the design of the JH-16 System. Particular attention has been paid to the layout of component parts so that no involved procedures are required if removal is necessary. Active components are located on plug-in printed circuit boards and mechanical sub-assemblies are built as complete units. Hand wiring has been greatly reduced through the use of bus board construction. Each channel has an individual bus board which mates with the channel modules and an eight unit master bus board. The JH-16 console is designed so that it opens up to allow easy access to all component systems. The deck plate swivels around a horizontal axis and latches in two convenient service positions. Electronics card rack folds out between the front doors to allow access to the channel bus boards. Both sections of the remote control are separately removable for ease of servicing. Overdub and safe-ready switches are P.C. mounted with easily removable plug-in lamps. Relamping is accomplished by removing the lower wrap panel. The Auto-Locator unit is self-contained and plugs into the function remote section. Two rear panels in the JH-16 cabinet fold down to provide access to the rear of the transport and the meter housing. The lower panel permits access to the transport connector panel and the reeling motors. Printed circuit bus boards in the meter housing reduce point-to-point wiring and facilitate re-lamping. Interfacing connectors are located on the rear of the JH-16 console. XLR connectors are provided for audio in/out terminations. The remote control connects to two sockets on the rear of the meter panel and one socket on the auto locator power supply. All power supplies are located on the shelf in the rear of the console. Two ultra-quiet fans cool the system. All access panels are fastened in place with quarter-turn fasteners. 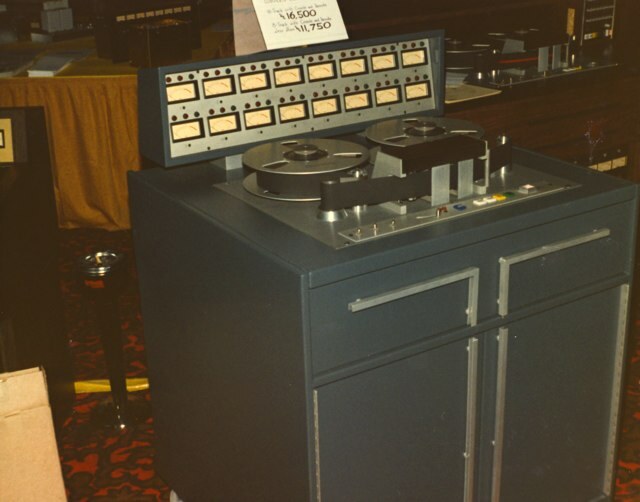 MCI JH-16 prototype shown at the Audio Engineering Society (AES) convention in 1971. MCI JH-16 with JH-10 Transport. Photos courtesy of Goreski of AnalogRules. 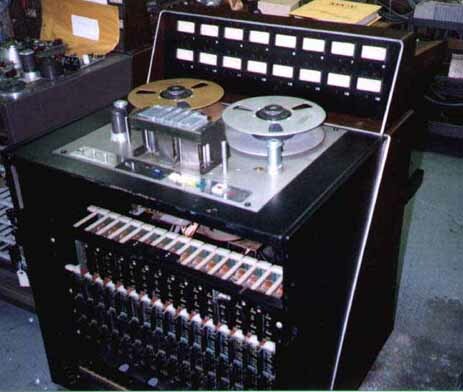 Do you have content, to add, about the MCI JH-16 Tape Machine or associated topics? Please feel free to Share it, here!